The various construction projects will shut parts of the Champlain Bridge, Turcot Interchange and Bonaventure Expressway. Time for your weekly reminder that driving to and from downtown Montreal is quite a challenge on the weekends. All roads reopen at 5 a.m. Monday, unless otherwise specified. As you near the South Shore, the Champlain Bridge will go from three available lanes to one until Pelletier Boulevard, starting Friday night at 10 p.m.
Highway 132 East, which runs under the bridge on the South Shore, will be closed from the exit to access the bridge (Exit 53), until the entrance point near Vanier Street starting at 10 p.m. The westbound side of Highway 132 will also be closed under the bridge, from Exit 76, for Simard Boulevard, until the entrance near Place Toulouse, starting at 10 p.m. Traffic will be rerouted onto the service road. The eastbound Bonaventure will be completely closed at Exit 4, for Highways 15 North and 20 West, Saturday at 1 a.m. until Monday at 1 a.m. Exit 5, for Nuns' Island, will also be closed. 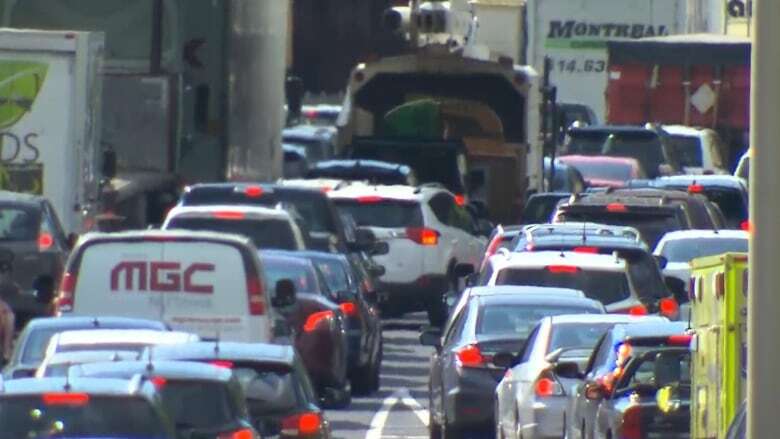 And access to Highway 15 South from René Lévesque Boulevard on Nuns' Island will be closed from Friday at 9 p.m. until Saturday at 1 a.m., then again Monday morning at 1 a.m. until 5 a.m.
Highway 136 will be closed westbound from Exit 5 for Robert-Bourassa Boulevard and the Champlain Bridge. The St-Antoine and Hôtel-de-Ville entrances will be closed at 11:30 p.m. Friday. The Ste-Anne-de-Bellevue Boulevard entrance to Highway 20 West will be closed at 11:59 p.m.
Highway 136 eastbound will be closed from the Turcot Interchange until the de la Cathédrale/Notre-Dame Street entrances starting Friday at 11:59 p.m. There will be no access to Highway 15 North from Highway 20 East starting Friday at 11:59 p.m.
Notre-Dame Street will be closed between Monk Boulevard and Côte-Saint-Paul Road starting at 10 p.m. Friday. And if you take trains on the Deux-Montagnes line, don't forget that starting this weekend, there will be no weekend train service for the foreseeable future.